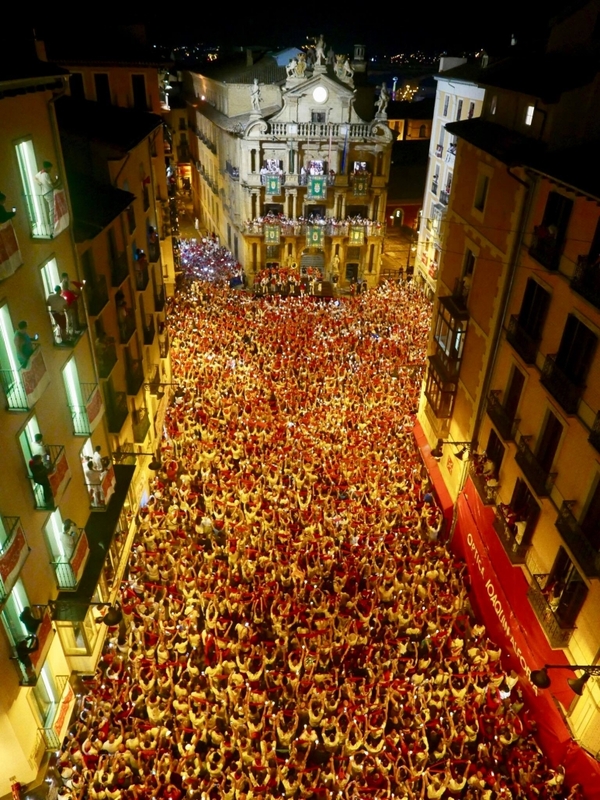 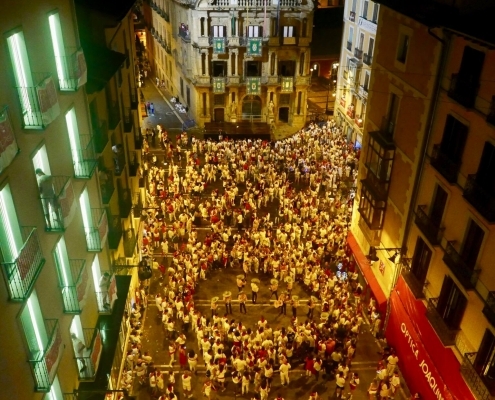 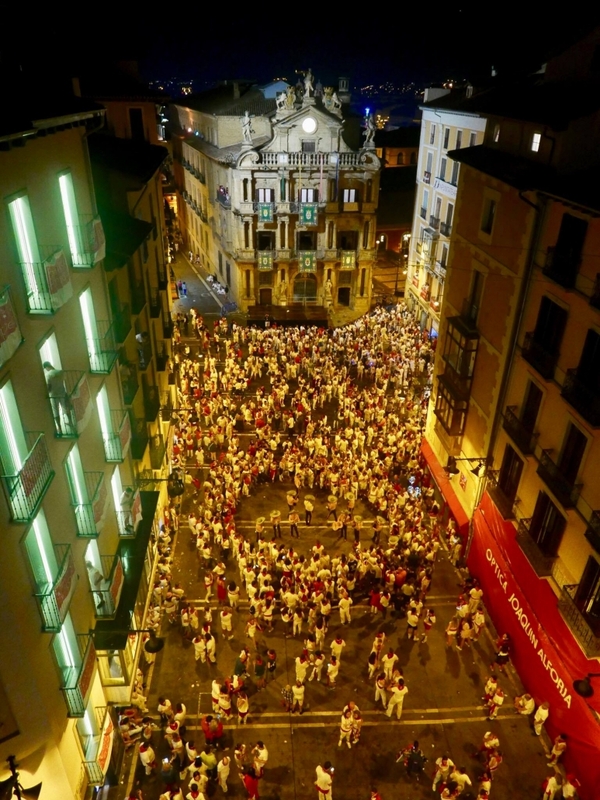 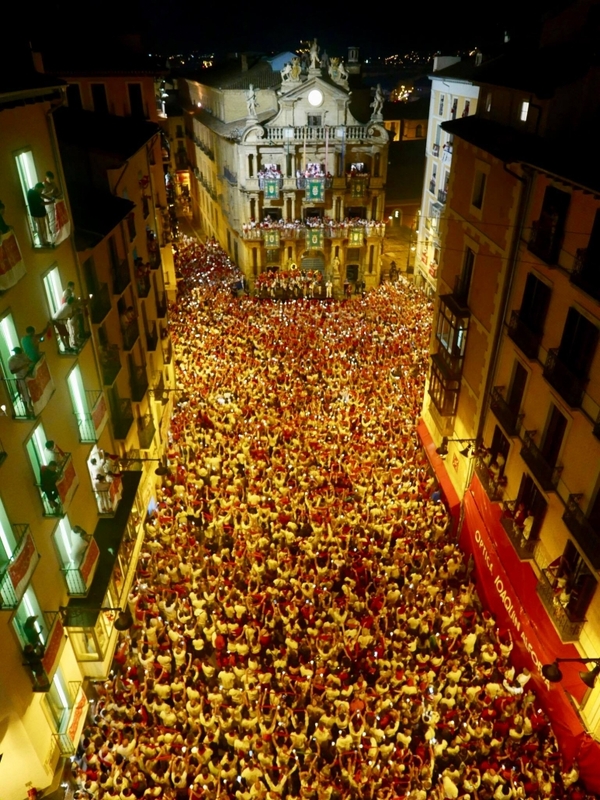 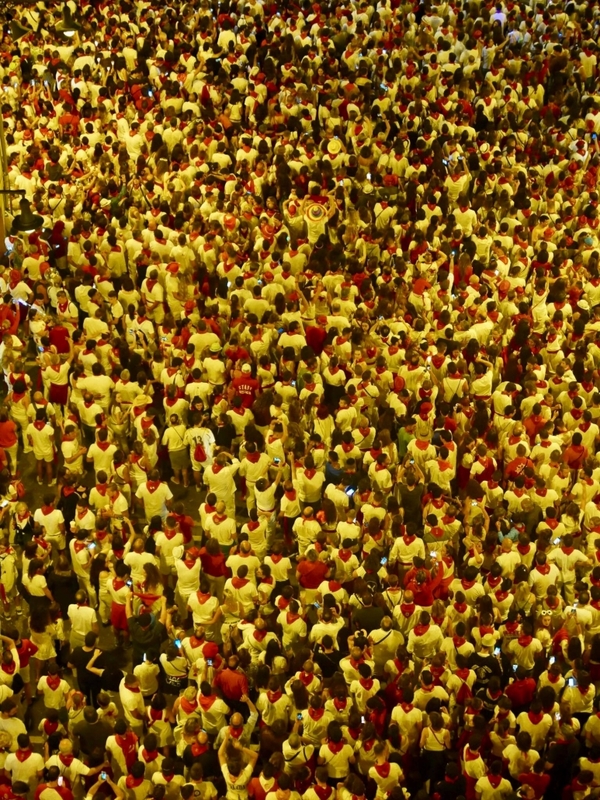 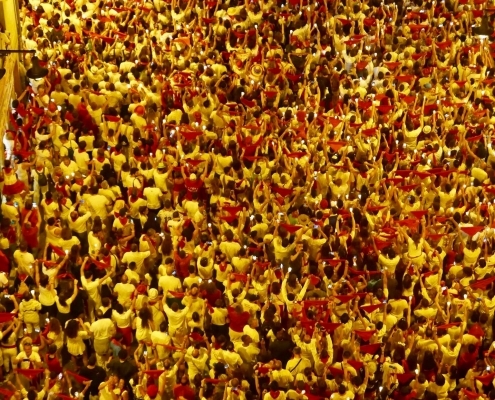 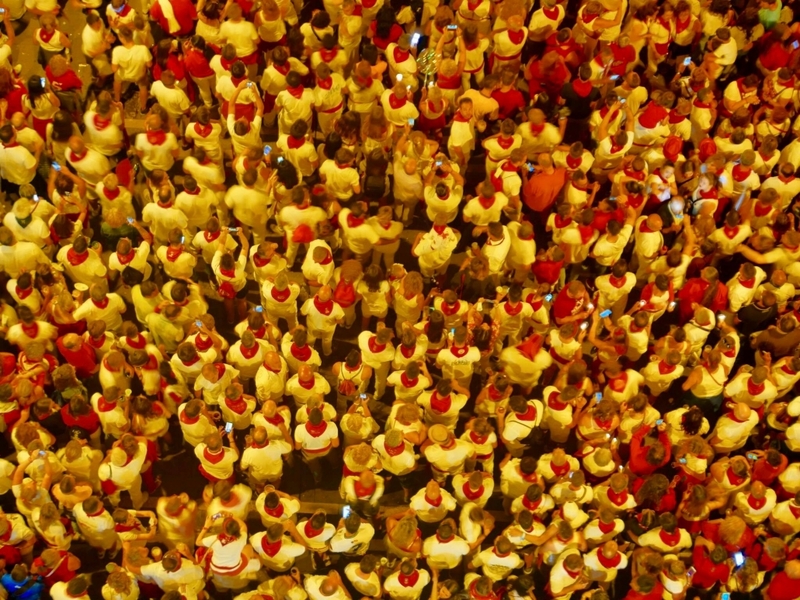 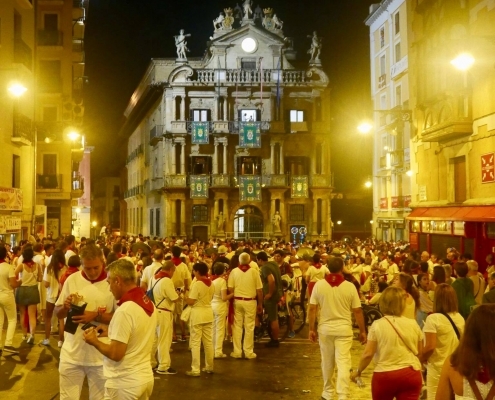 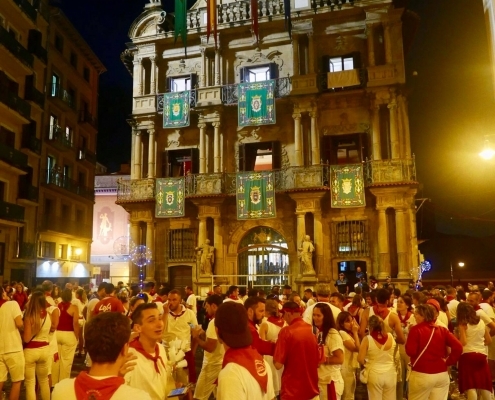 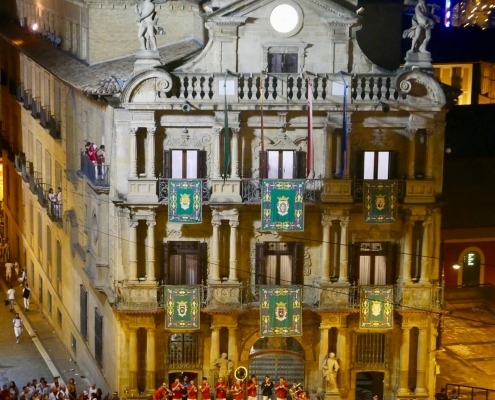 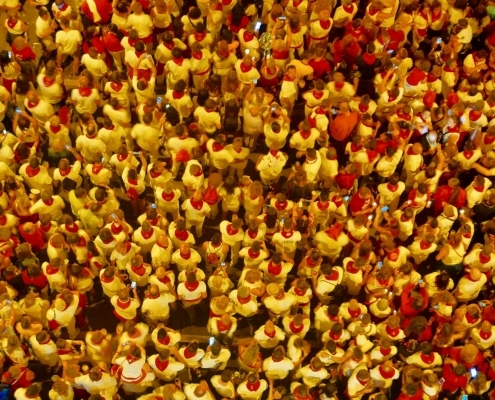 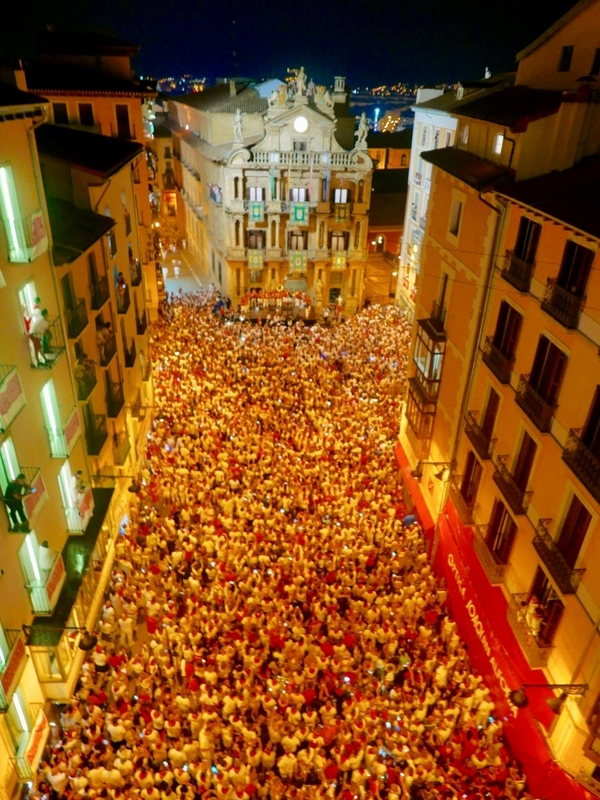 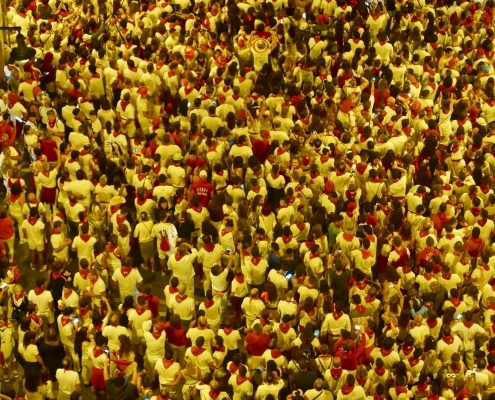 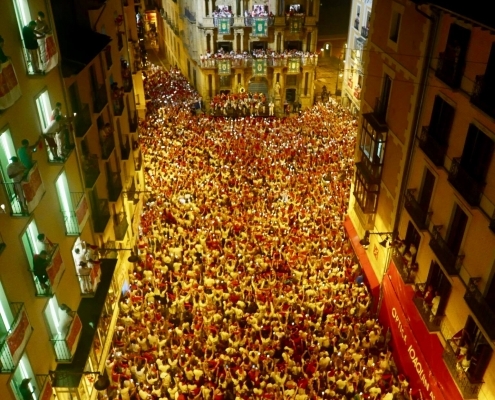 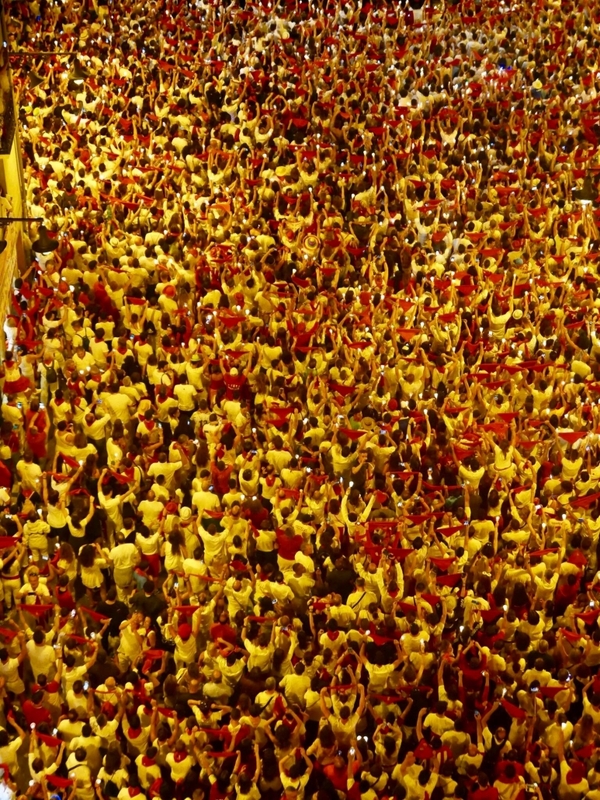 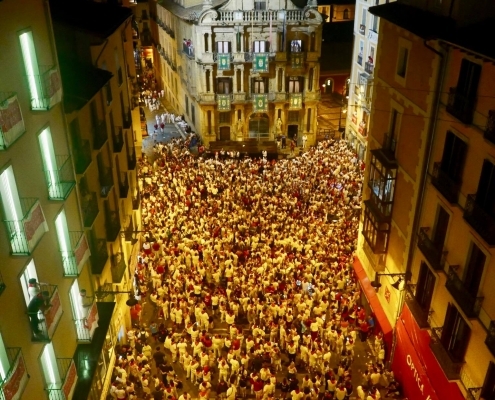 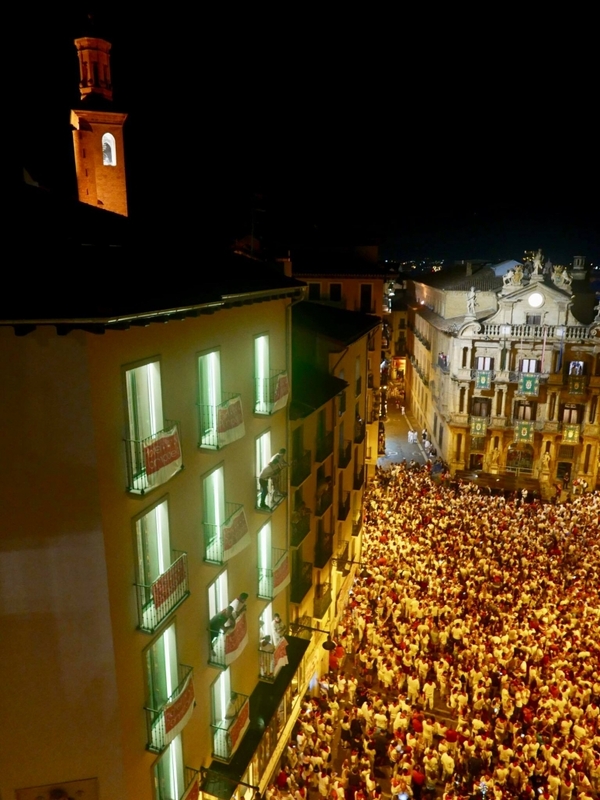 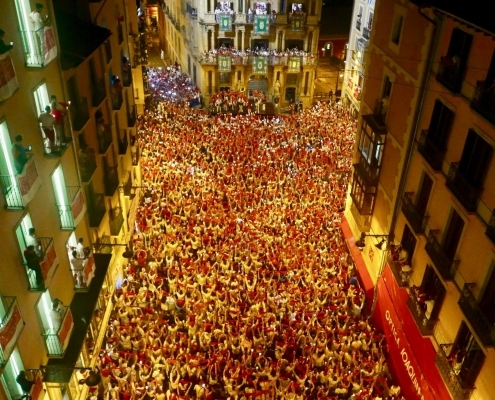 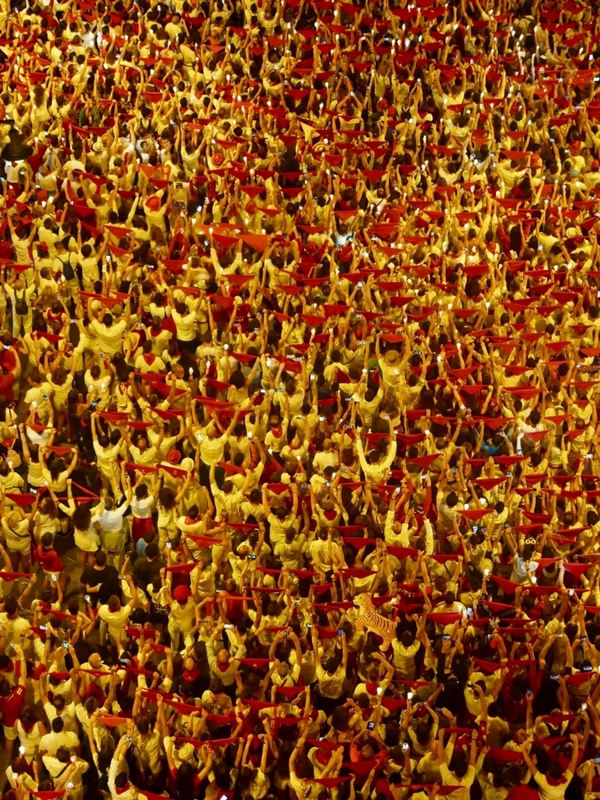 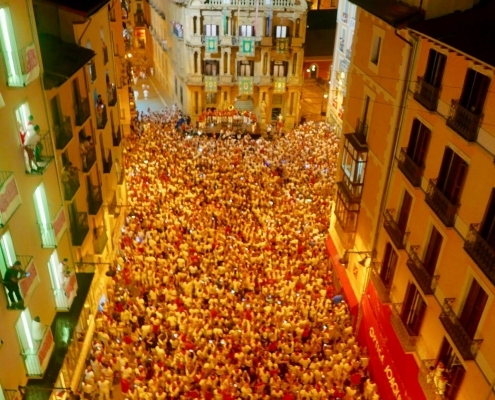 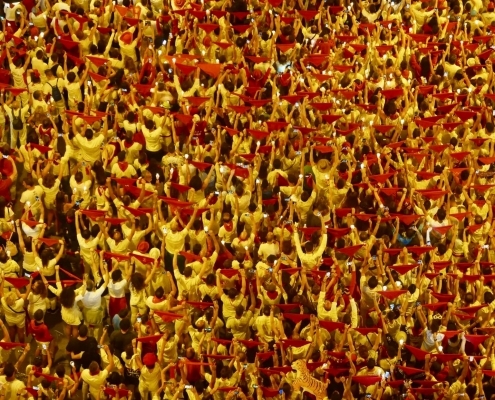 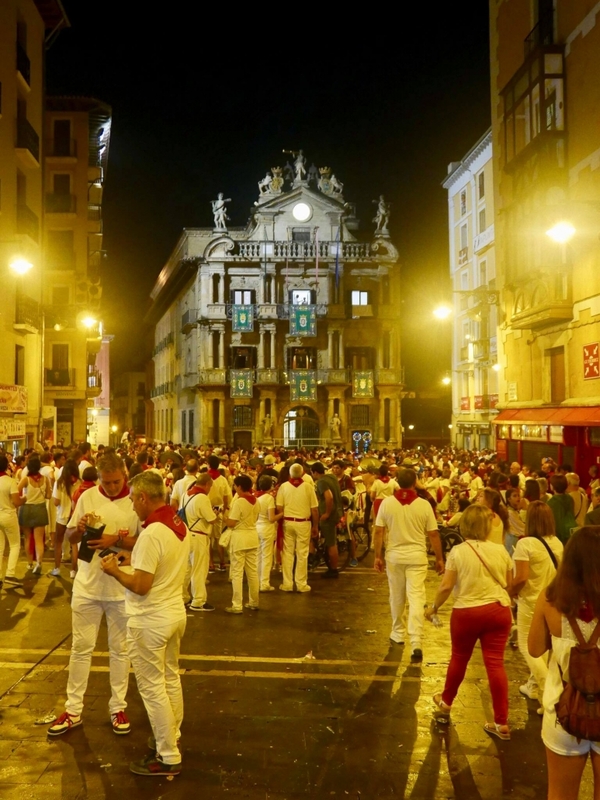 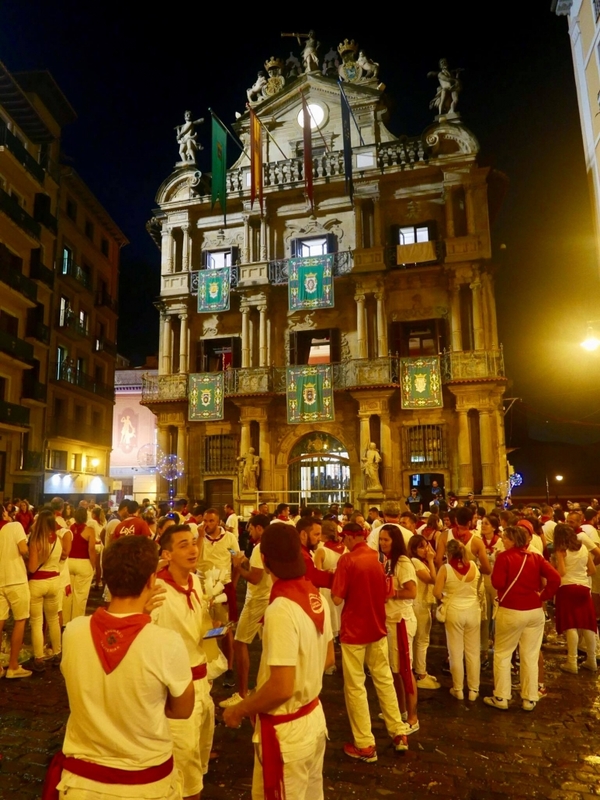 The closing ceremony of the Sanfermin Festival has been intact and unchanged since 1920. 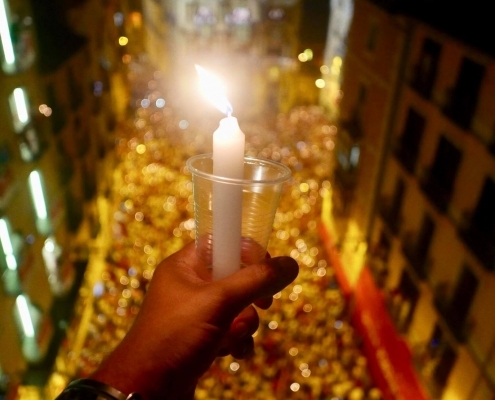 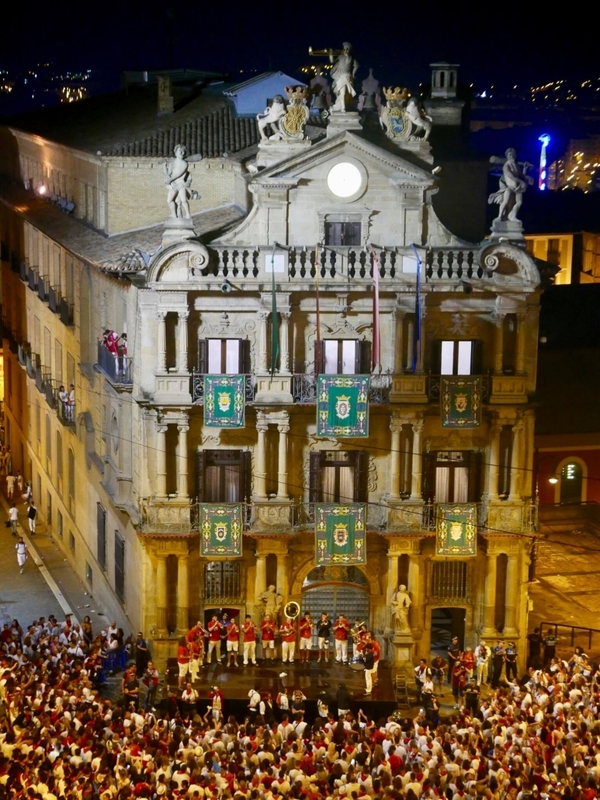 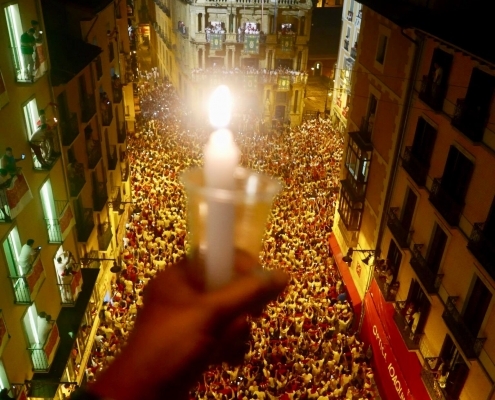 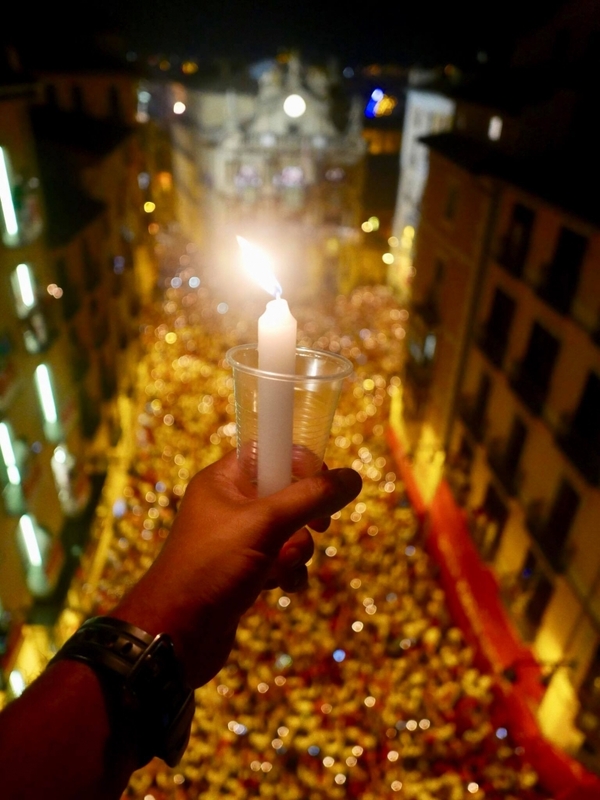 Just before midnight on the ninth day of partying and bull-chasing, massive crowds gather at the City Hall Plaza at to sing the traditional Pobre de Mí (‘Poor Me’) with candles waving in the still and hot air. 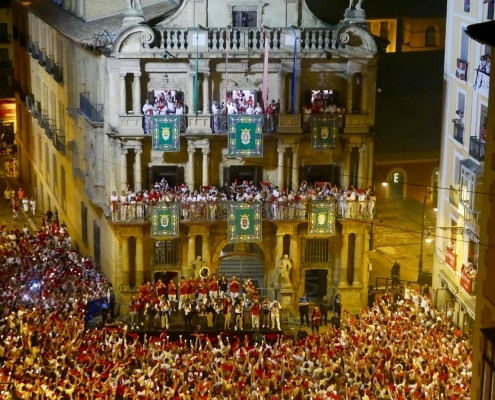 It’s a spectacular sight, especially if witnesses from a balcony high above the square (which is only possible for a very limited number of people). 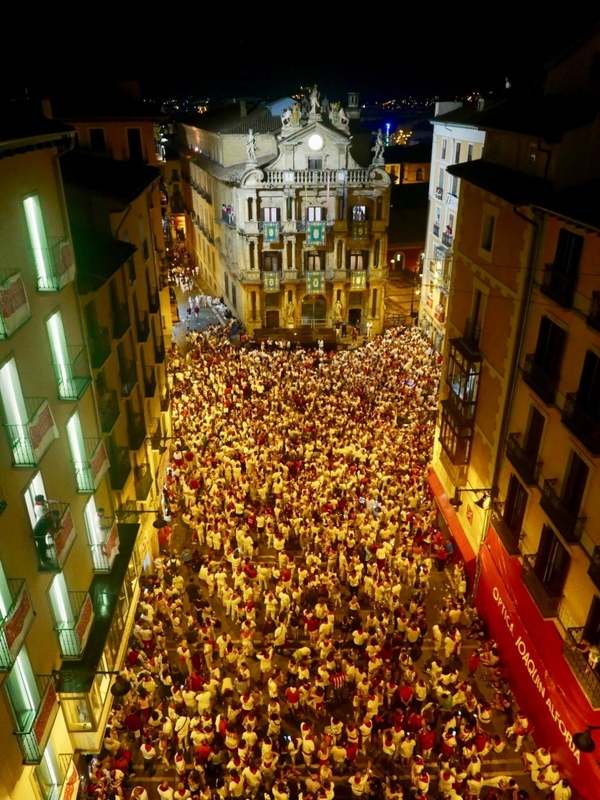 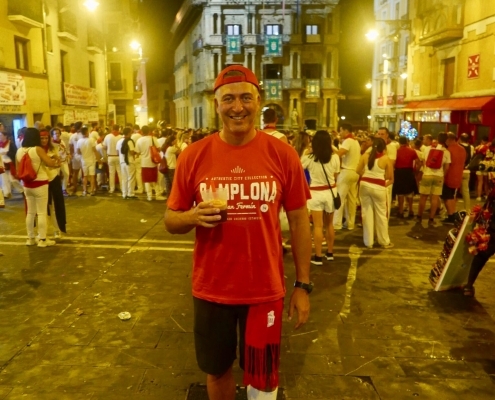 When the major announces the completion of Sanfermin, all the red ties come off until the next year. 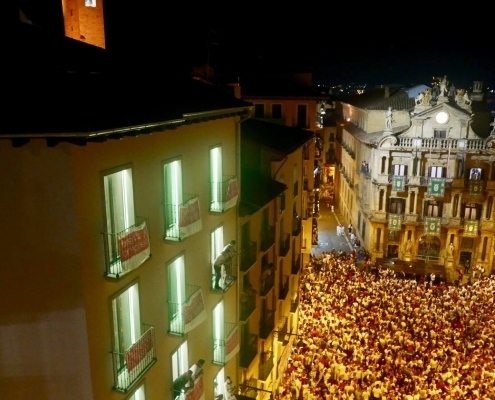 The fireworks explode just after the midnight.